Most people who have lawns have to deal with weeds at some point. Many of them are an eyesore, and some are beautiful. The problem is most of them can be health hazards. Do you know what is safe, and what isn’t? Your children and pets are playing among plants that may not be safe for them to touch or ingest. When you purchase and properly install artificial, you can avoid weeds. Watersavers Turf can help you create a safer yard. We are the SF Bay Area’s premier artificial grass distributor and have over 60 styles of turf to choose from. It would be much better if you could have a perfect lawn without ever having to concern yourself with weeds. One way to do it to install artificial turf. With an artificial turf surface, you can be sure your lawn is safe for all of your loved ones. Caring for it is easy as well, saving you time and money. One of the most well-known is poison oak which causes a blistering rash. Some of the other plants can cause real health problems. True, there are products you can buy to get rid of them, but you can’t be sure they’ll work. Also, they will leave chemicals behind that are not safe for you and your family. Lawn care is already a major process if you own a home. You have to water the grass, mow it, and make sure it looks its best all year long. You also need to be aware of what kind of plants are growing in it. Staying on top of the dangers is key to safety. So is getting rid of any harmful weeds. If all this sounds like too much of a challenge, synthetic turf is a great option. When you install a synthetic turf lawn, you can always be sure that there are no plants posing a risk to loved ones. Synthetic turf also stays in great shape in all sorts of weather, making it much safer to play on for kids. 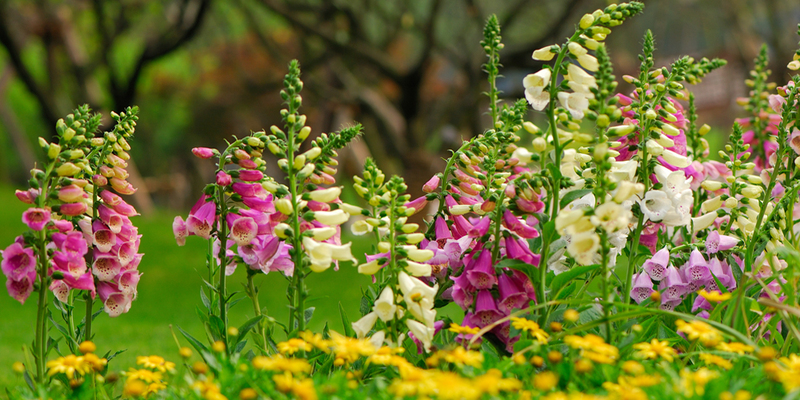 Foxglove – This colorful flower can be deadly. It is highly toxic and can cause severe pain, hallucinations, irregular heart function, and even death. Devil’s weed – This plant may look harmless, but its seeds and leaves can be deadly if eaten. It grows to three to five feet tall and has purple or white trumpet-shaped flowers. It is also known as Jimson Weed. Poison oak – Often hard to spot, it blends in with nearby plants like blackberry bushes. This plant has a trio of scalloped leaves and white flowers in the spring. In the fall, it has light-colored berries. People who touch it could suffer an allergic reaction such as a severe rash. Oleander – This common garden shrub is very toxic when ingested by pets or humans. It is known by its blooms of white, red or pink. Buttercup – They look lovely growing in a field, but if eaten can cause major digestive damage. Monkshood – This plant, especially the roots, contains an alkaloid that can paralyze major nerves if contact is made with any mucous membrane. Hydrangea – Comes in varying shades of white, pink and blue flowers. Cats and dogs that eat either the flowers or leaves could develop diarrhea, vomiting or lethargy. Wisteria – The flowers, seeds and the pods can cause mild to severe digestive problems when eaten. As the list above shows, properly installing a fake grass lawn makes it much easier to own a home without having to constantly inspect your garden for weeds. If you’re thinking about going this route, we at Watersavers Turf have a line of fake grass that are safe for you, your family, and even pets to play on. Get a free estimate to see how much it would cost to install it on your property. Our reps can be reached for chat 24/7 on our website. We’re more than happy to answer your questions when you call us at 844-874—8873. To make life easier for you, we offer an 18-year residential warranty as well. If you’re not convinced yet, stop by one of our SF Bay Area locations and ask about getting some free 1’ X 1’ samples.